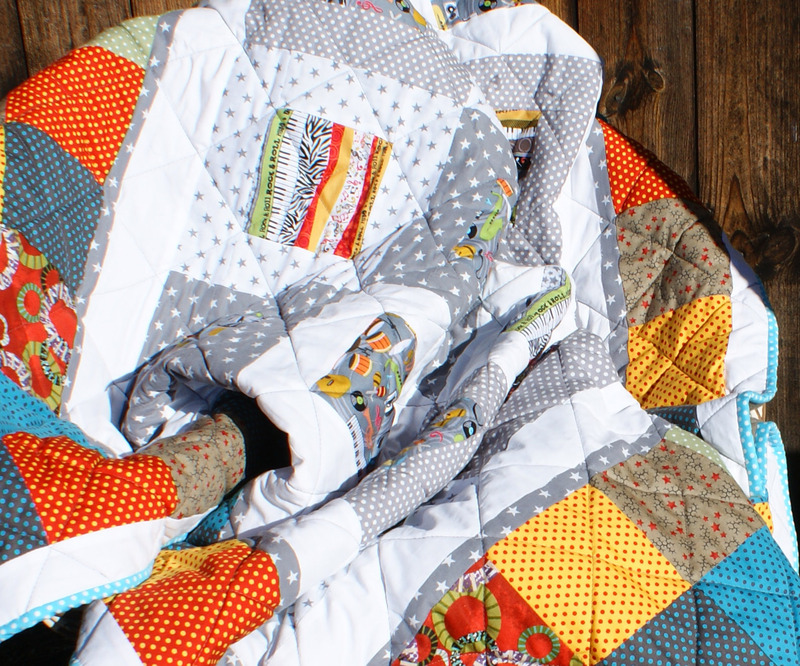 All my quilts are lightly wadded and fleece-backed for extra snuggling. 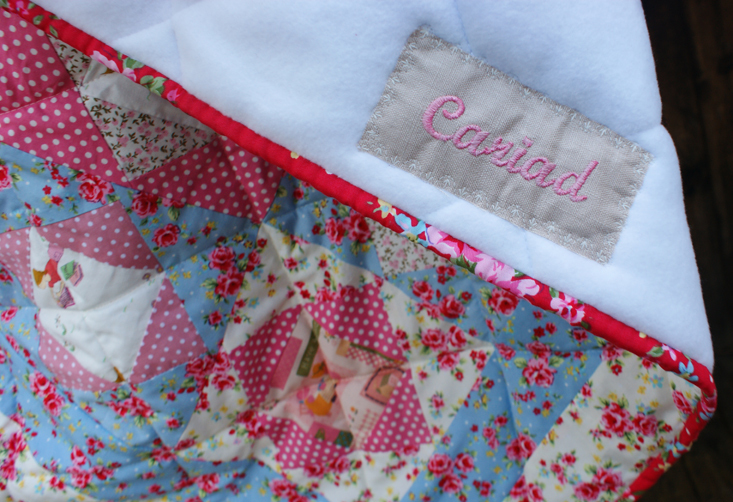 Name labels are added to the reverse and the binding edges are all hand-stitched in the time-honoured, traditional way. 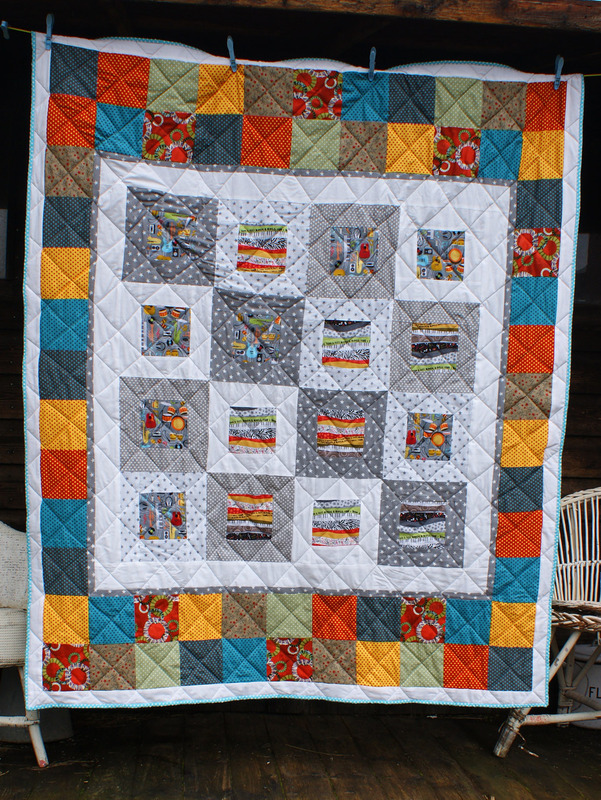 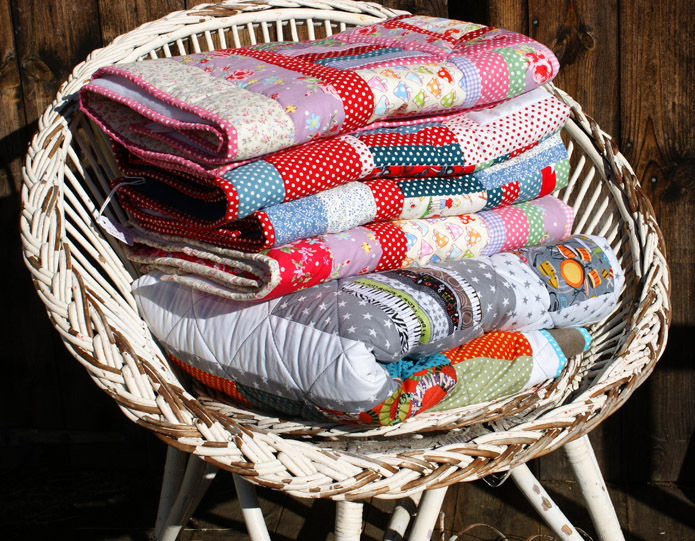 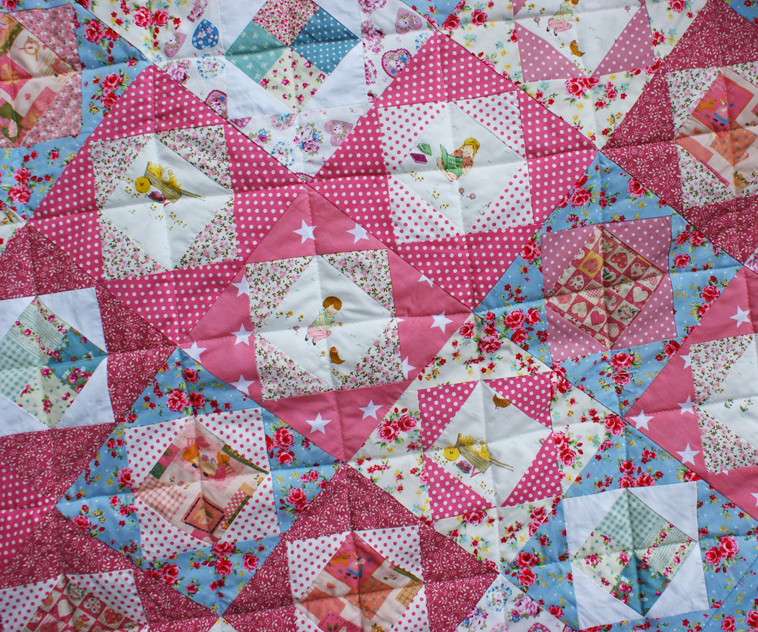 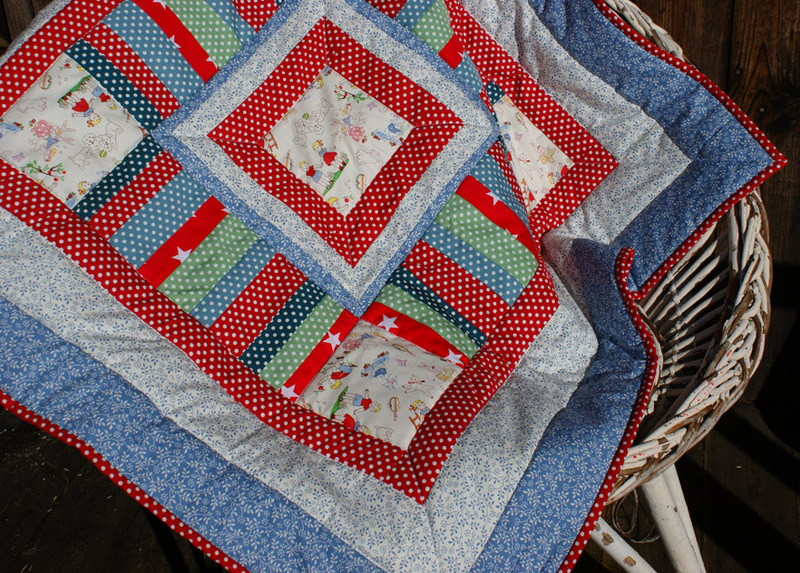 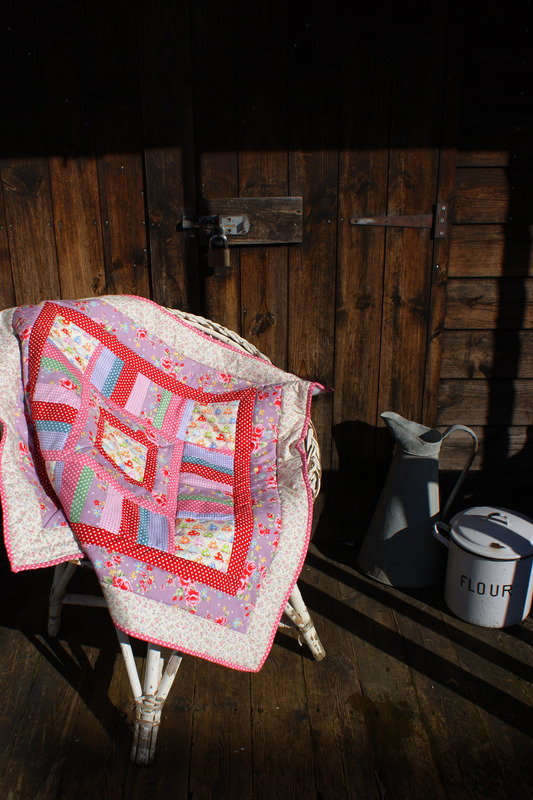 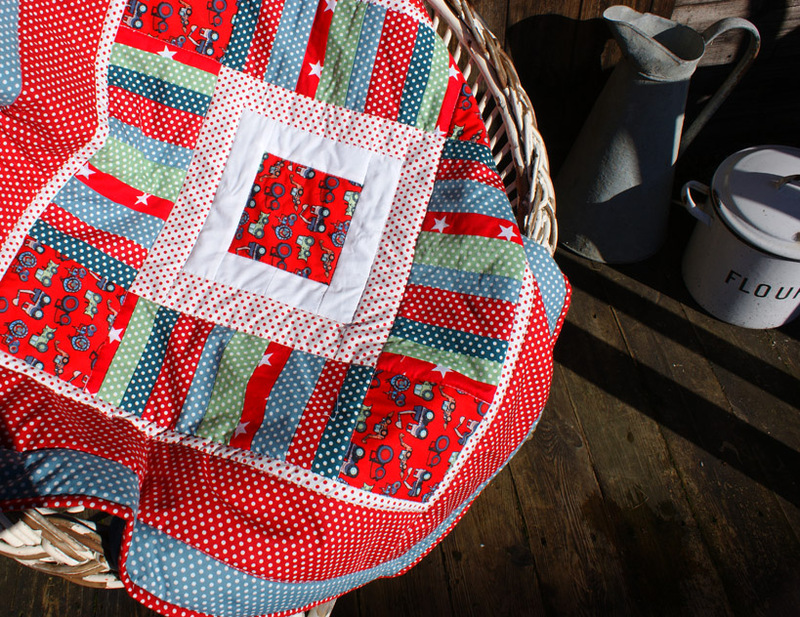 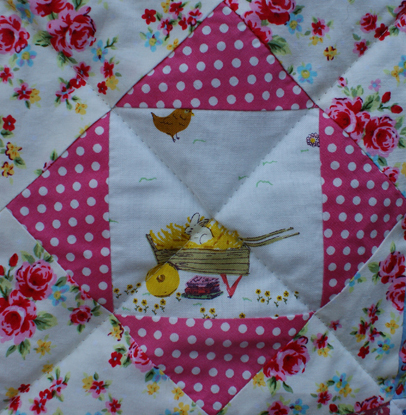 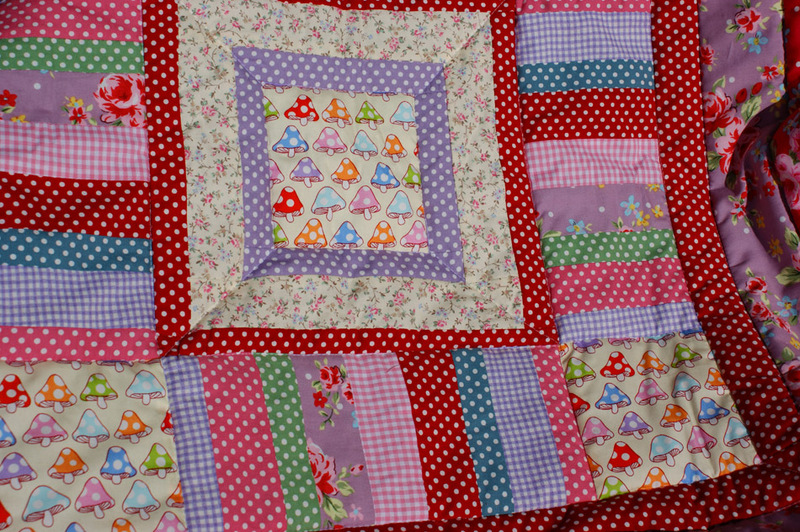 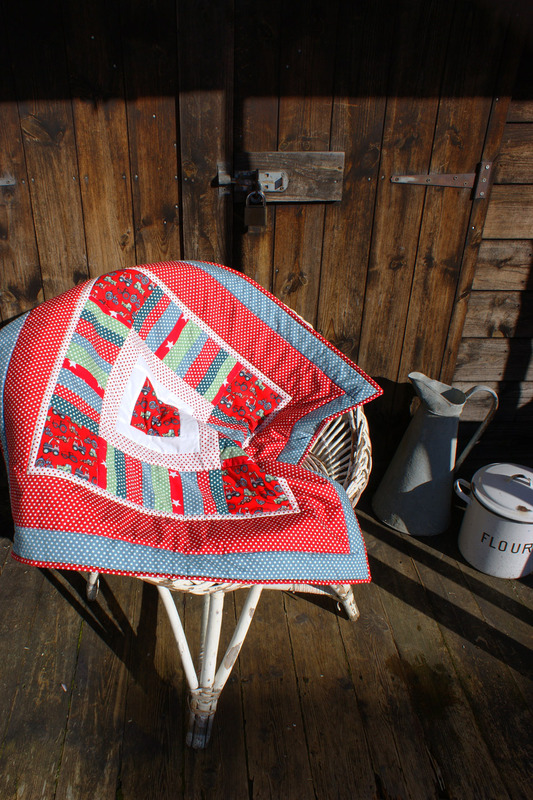 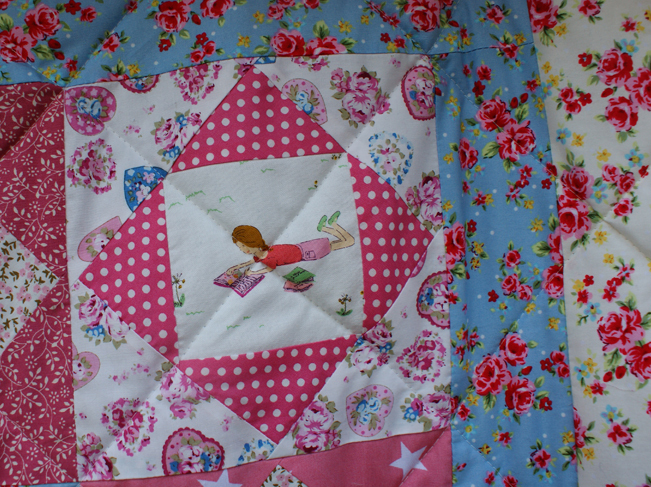 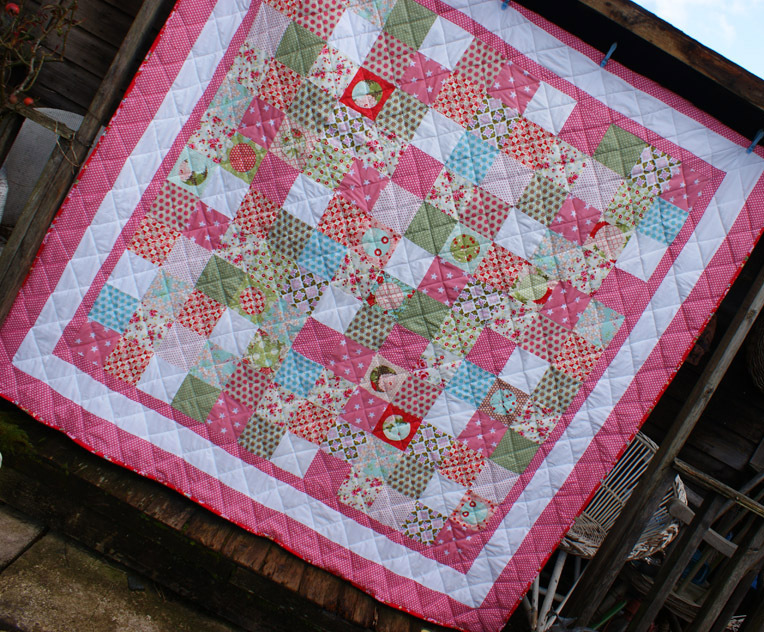 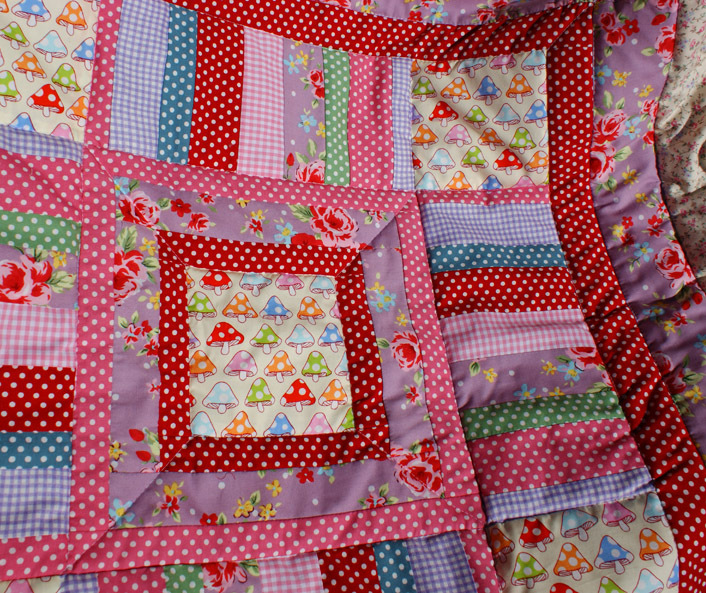 Email shop@adaliza.co.uk for details of all quilts that are currently for sale, or to discuss a commission. 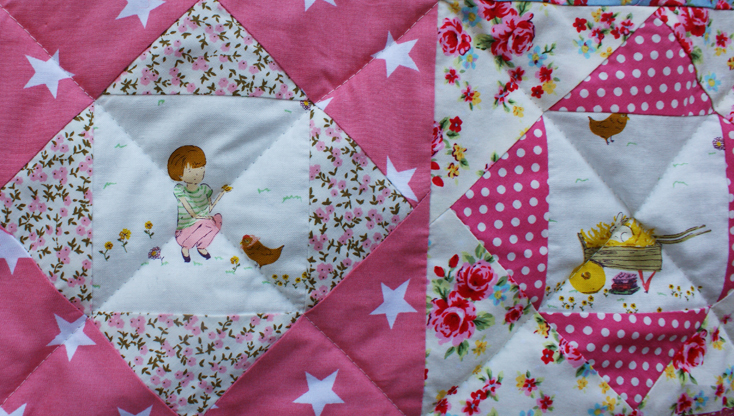 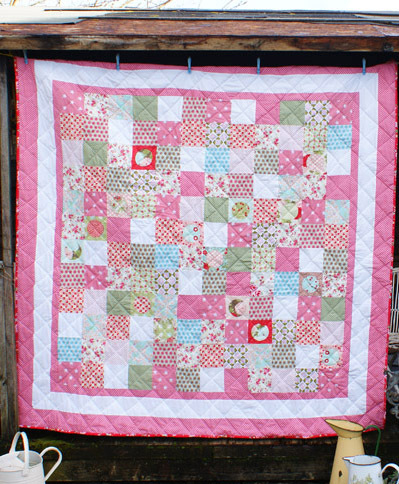 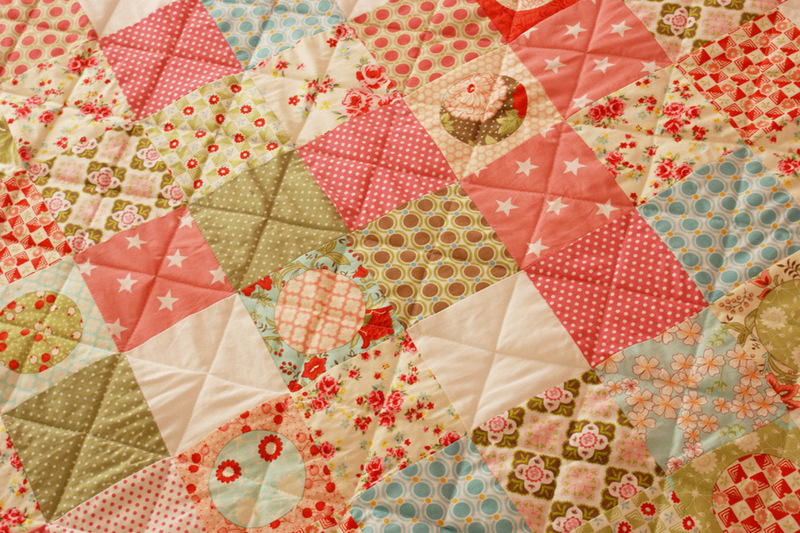 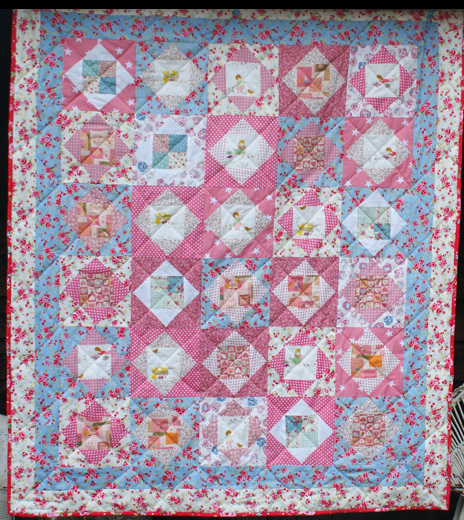 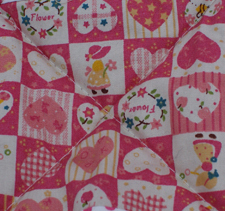 Such a pretty quilt, for a little girl’s room. 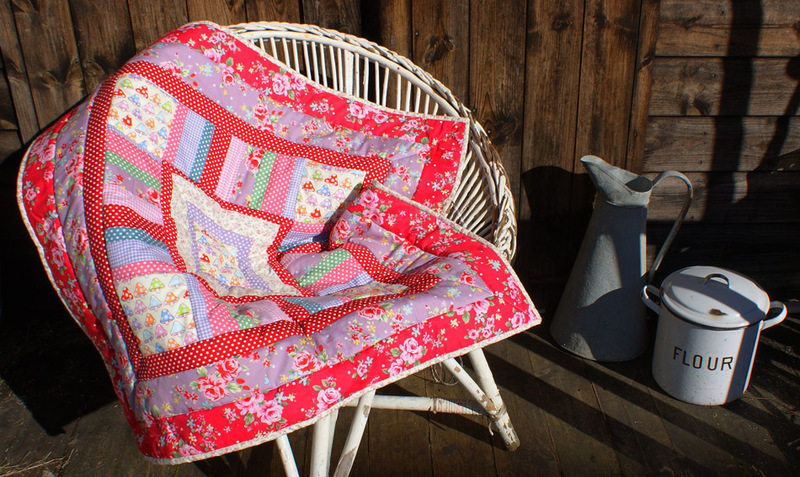 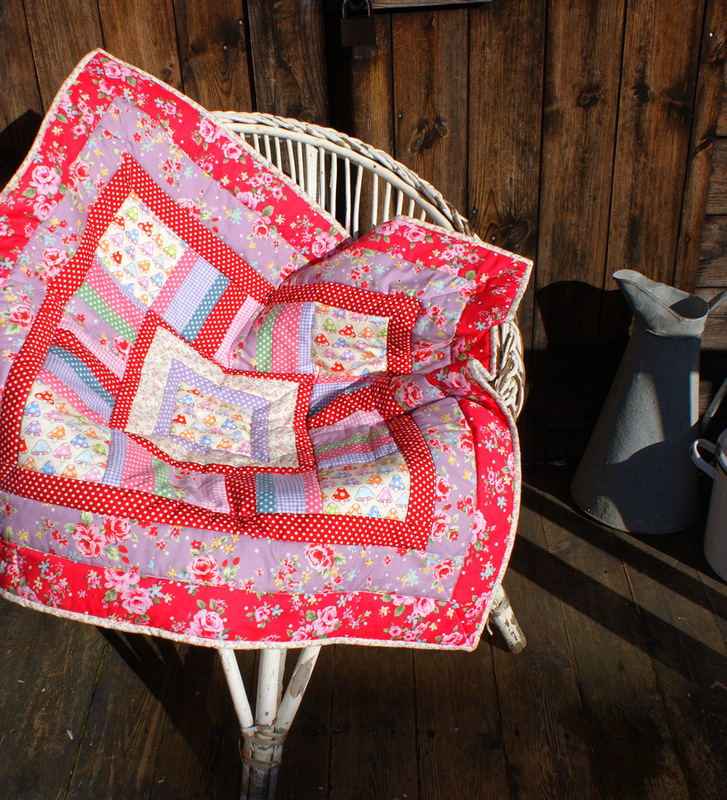 A lovely large quilt (approx 170 cm x 170 cm) to capture the beginning of Spring. 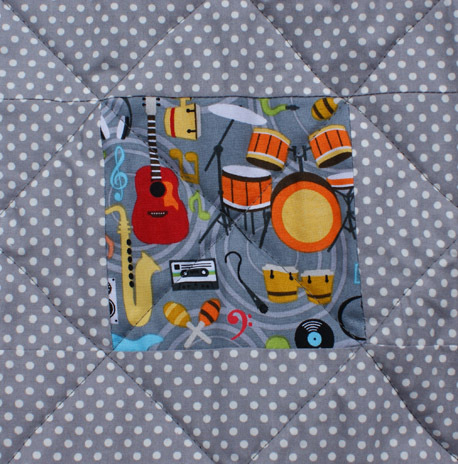 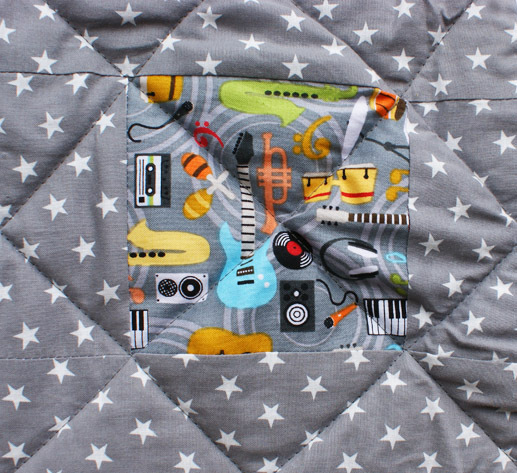 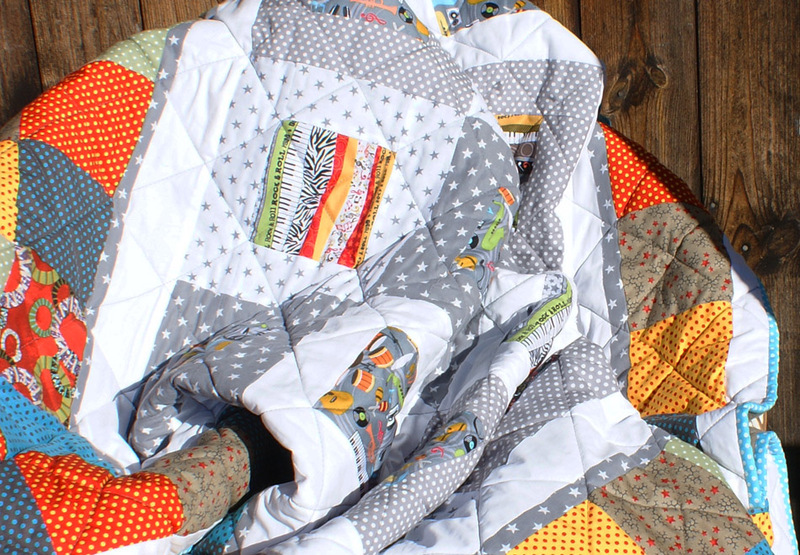 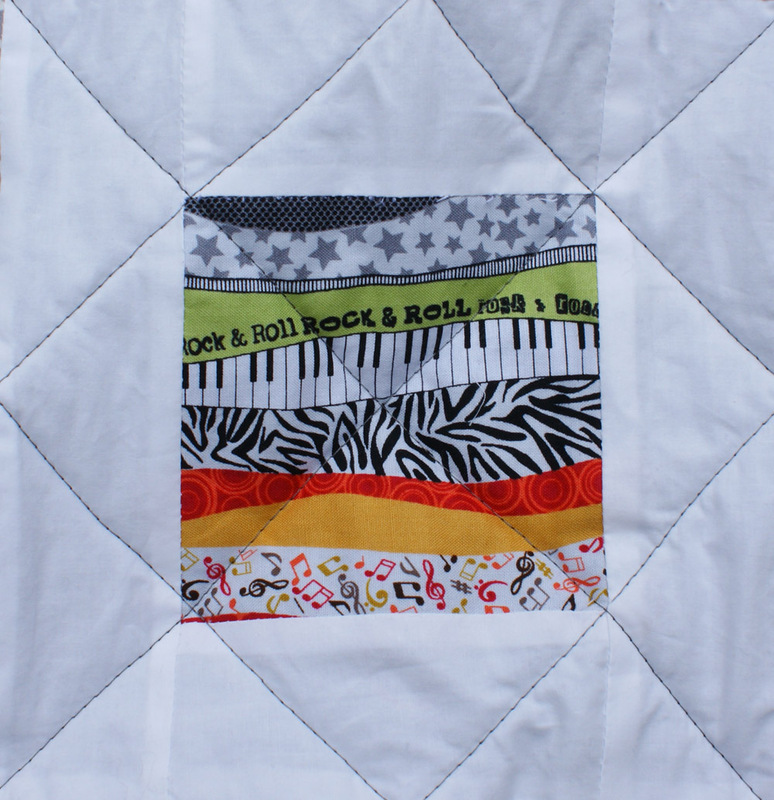 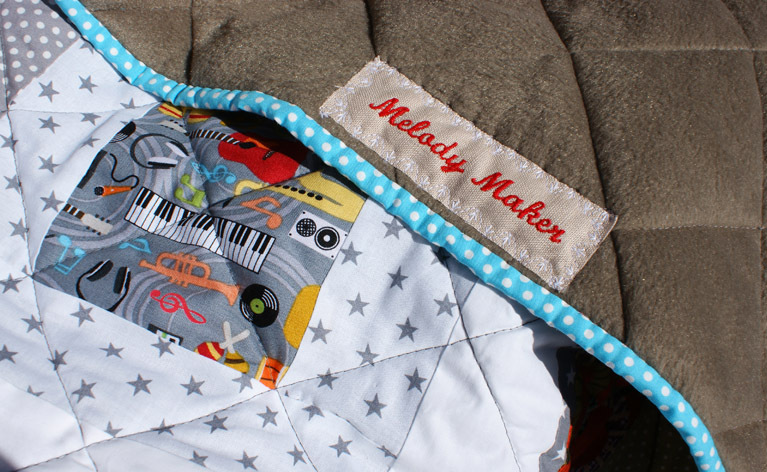 A perfect quilt for a melody maker or music room – so many musical instruments and a vibrant border that reminds me of rock’n roll! 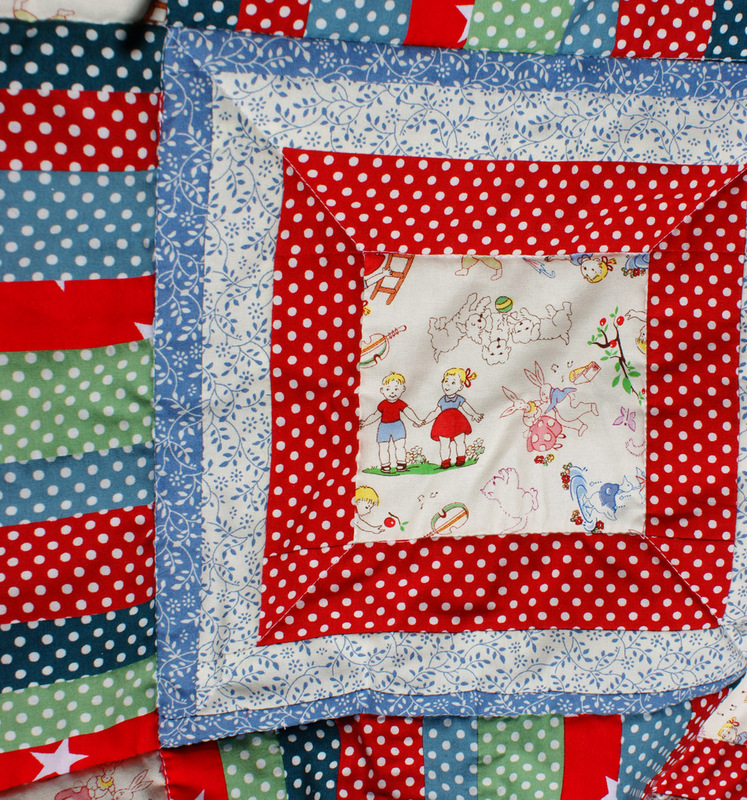 Do pop back to see new quilts each month.